Four California men were arrested in connection to violence during the Unite the Right rally in Charlottesville, Va., last year, the U.S. Department of Justice announced Tuesday. Federal agents charged Benjamin Drake Daley, 25; Thomas Walter Gillen, 34; Michael Paul Miselis, 29; and Cole Evan White, 24, with one count of conspiracy to violate the federal riots statute and one count of violating the federal riots statute. A criminal complaint alleges the four men are members or associates of a California-based "militant white-supremacist organization" known as the Rise Above Movement. "The four defendants traveled to Charlottesville for the August 2017 Unite the Right Rally with the intent to encourage, promote, incite, participate in and commit violent acts in furtherance of a riot," the Justice Department said. The complaint added that they attended and participated in a torch-lit march at the the University of Virginia on Aug. 11, 2017, that also resulted in violence. The FBI has opened an investigation into possible violations of federal criminal law by individuals believed to be associated with RAM after receiving information that the four men "committed multiple acts of violence against counterprotesters, which in some cases resulted in serious injuries," The Daily Progress reported. 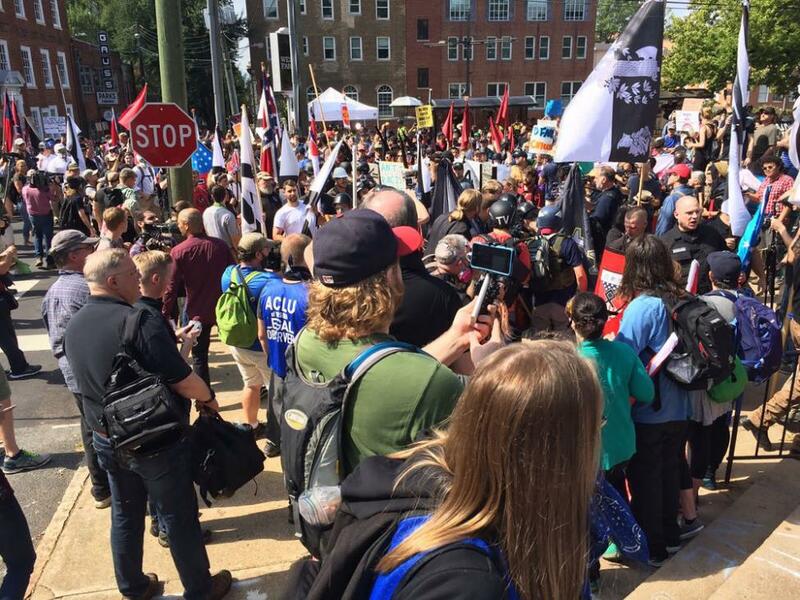 Bank records placed Daley in Charlottesville at the time of the rallies and receipts showed he purchased rolls of white athletic tape, black spray paint and a folding tactical knife at a Walmart in the city. Photos and videos show the men at the torchlit rally, "committing acts of violence, assaulting counterprotesters by punching, kicking and head butting" during the Aug. 12 Unite the Right rally, and standing behind a RAM Unite the Right banner. Other photos and videos showed Miselis and Daley throwing water bottles into a crowd of counterprotesters. "After Daley throws the water bottle, he stands up on sign and makes a 'throat-slashing' gesture to the crowd," the complaint states. Daley also stated he committed violent acts during the rally multiple times, including in a Facebook post where he said he "hit like five people."